Effective inbound marketing encompasses content strategies, social media, website, SEO strategies and more. If you run a B2B business, you need an effective inbound marketing system. In fact, nearly 40 percent of both B2B and B2C sectors enjoyed a boost in ROI over the previous year thanks to inbound marketing, according to a HubSpot report -- and an even higher percentage of those who outsourced their inbound marketing to agencies increased their ROI. It only makes sense that the complex task of coordinating, implementing and monitoring your SEO, social and content marketing strategies should be turned over to experts in the field so your own people can continue to focus on their own all-absorbing jobs. But how can you recognize the right inbound marketing agency for your tech business? Here are five crucial elements your inbound marketing agency should be ready, willing and able to provide for you. As you well know, technology products and services don't exactly sell themselves, either through inbound or outbound marketing. Even though you may be addressing a B2B audience that already possesses some understanding of the "nuts and bolts" involved in your offerings, your inbound marketing efforts must speak with the proper authority, clarity and precision without getting bogged down in techno babble. Your ideal inbound marketing agency should have sufficient experience and fluency to grasp your technology's core concepts and then present those core concepts in a compelling, engaging manner. Your inbound marketing agency should also be able to demonstrate experience with, and knowledge of, your target audience. Has it specifically courted your desired populations in the market area you currently serve? If so, what kind of positive results can the agency demonstrate from those campaigns? Ultimately, you want an agency that speaks not only your own language, but that of your clientele. Your inbound marketing agency should be able to lay out the entire grand design for this process, from the big picture to specific time lines and milestones, in a way that makes perfect sense to your team. If certain aspects of the plan seem overly ambitious or are projected to take inordinate amounts of time and money, make sure the agency explains the whys and wherefores to your satisfaction. Beware the inbound marketing agency that speaks in analytic generalities. There was a time not so long ago when every questionable marketer on earth promised to help companies "make page one of Google" without explaining how this might be done or what it actually meant in terms of real-world ROI, and in the current environment the role that content plays in organic search performance. Anyone in the technology sector understands the concept of vaporware -- so don't tolerate its equivalent when asking about your inbound marketing agency's analytic tools and tactics. A savvy agency will be able to explain exactly which metrics they track, why they're tracking them, what tools they use to track them, and how each metric comes together to deliver specific answers about your inbound marketing's success rate (and how to refine it going forward). They will employ a specific set of inbound marketing tools to track metrics and analyze the data. For instance, if your agency can detect that your visitors are dropping out of your sales funnel on one particular landing page, they'll know that they need to perform some A/B testing on the content and/or design for that page. Or if your visitors are refusing to download that free offer in exchange for their contact information, maybe the call to action needs rewriting or a different offer should be presented. Ask your agency what resources it has in place for course-correcting your campaign as needed. In your own experience, you've no doubt discovered that effective projects are built on effective project management. This holds just as true for the ongoing project of establishing and maintaining an effective inbound marketing machine. Try to get a feel for how well defined the chain of command is at your prospective agency. It's important to know exactly who's responsible for the various functions under the agency's umbrella. It's even more important to know who's assigned as the point person for your account, whether that person has a track record in marketing for your industry, and whether the lines of communication with that person seem sufficiently clear and open. While the overall capability of the agency's core team is an important consideration, don't dismiss outright a company that outsources certain key creative, financial or administrative tasks. This is not uncommon in the marketing world, and it often has the positive effect of freeing the core team to spend more of its attention on your needs. This last item on our list may not seem so crucial at first glance, but the truth is that you don't want a "Do as we say, not as we do" inbound marketing agency. A successful marketing agency follows its own strategies in promoting itself to its target market or markets. Examine your prospective agency's website closely. Does it feature a user-friendly layout and content that grabs your attention right away? Would you know exactly where to find a specific item you might be seeking as this agency's client? Does the agency have an active, engaging, regularly-updated blog filled with authoritative, relevant content? These are all signs of a strong, experienced, skilled agency that can do for you what's already done for itself. Take these components to heart when selecting the ideal inbound marketing agency for your company. 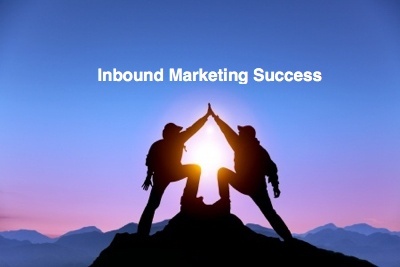 After all, a thing worth doing is worth doing well -- and inbound marketing is definitely worth doing!